1. Apply concentration units as conversion factors. When a student performs a titration, a measured amount of one solution is added to another reactant. “Chemistry titration lab” by Kentucky Country Day is licensed under the Creative Commons Attribution-NonCommercial 2.0 Generic. Using concentration as a conversion factor, how many moles of solute are in 3.44 L of 0.753 M CaCl2? Using concentration as a conversion factor, how many moles of solute are in 844 mL of 2.09 M MgSO4? Using concentration as a conversion factor, how many liters are needed to provide 0.822 mol of NaBr from a 0.665 M solution? Using concentration as a conversion factor, how many liters are needed to provide 2.500 mol of (NH2)2CO from a 1.087 M solution? What is the mass of solute in 24.5 mL of 0.755 M CoCl2? What is the mass of solute in 3.81 L of 0.0232 M Zn(NO3)2? What volume of solution is needed to provide 9.04 g of NiF2 from a 0.332 M solution? What volume of solution is needed to provide 0.229 g of CH2O from a 0.00560 M solution? What volume of 3.44 M HCl will react with 5.33 mol of CaCO3? What volume of 0.779 M NaCl will react with 40.8 mol of Pb(NO3)2? What volume of 0.905 M H2SO4 will react with 26.7 mL of 0.554 M NaOH? What volume of 1.000 M Na2CO3 will react with 342 mL of 0.733 M H3PO4? It takes 23.77 mL of 0.1505 M HCl to titrate with 15.00 mL of Ca(OH)2. What is the concentration of Ca(OH)2? You will need to write the balanced chemical equation first. It takes 97.62 mL of 0.0546 M NaOH to titrate a 25.00 mL sample of H2SO4. What is the concentration of H2SO4? You will need to write the balanced chemical equation first. It takes 4.667 mL of 0.0997 M HNO3 to dissolve some solid Cu. What mass of Cu can be dissolved? It takes 49.08 mL of 0.877 M NH3 to dissolve some solid AgCl. What mass of AgCl can be dissolved? What mass of 3.00% H2O2 is needed to produce 66.3 g of O2(g)? A 0.75% solution of Na2CO3 is used to precipitate Ca2+ ions from solution. What mass of solution is needed to precipitate 40.7 L of solution with a concentration of 0.0225 M Ca2+(aq)? 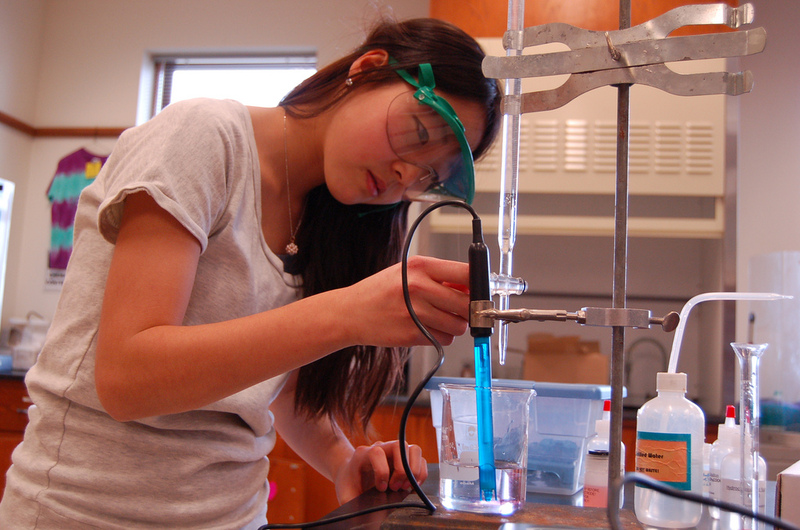 Concentrations as Conversion Factors by Jessie A. Key is licensed under a Creative Commons Attribution-NonCommercial-ShareAlike 4.0 International License, except where otherwise noted.